CavCorp's proposal for 366 apartments at Newstead Gasworks. Walker Corporation has plans for 433 apartments on Ann Street in the Valley. Before buying, it is worth looking to see if your views will be blocked by any proposed new development. And keep in mind that there is likely to be an oversupply of new apartments in Brisbane in the next 2 years. Maybe wait until these buildings all settle, and you may then get a better price. 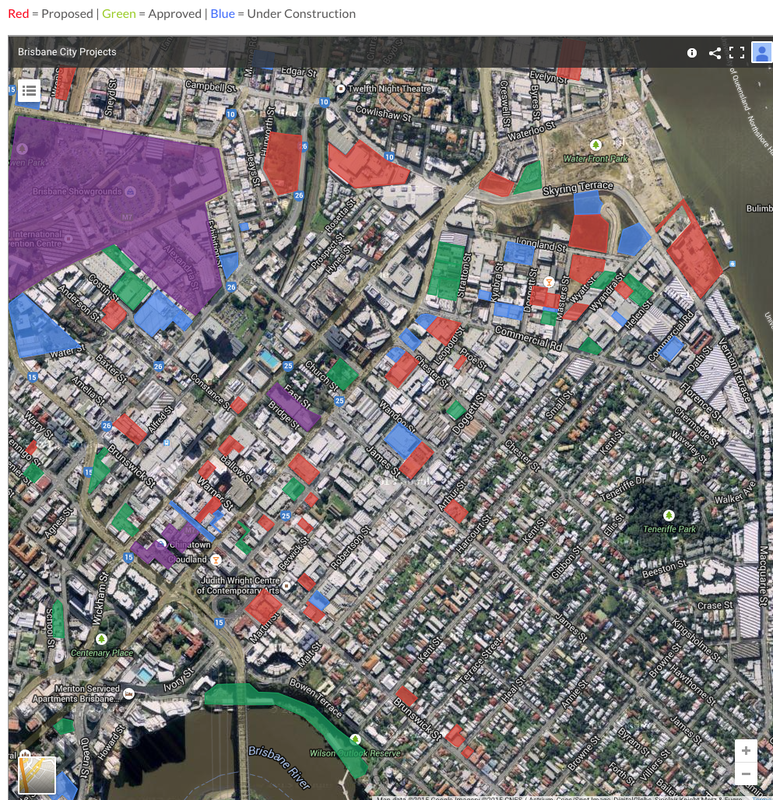 The Brisbane Development website has a good interactive map showing developments.